SAFE Structure Designs, a global leader in the design, engineering and manufacturing of ergonomic safety first aircraft maintenance stands, fall protection platforms, hangar equipment, portable field equipment and specialty tooling, announced today that they successfully satisfied their contract to design, engineer and manufacture safety first ergonomic hangar equipment outfitting USCG Clearwater, FL fleet of Sikorsky MH-60 Jayhawks when performing both routine maintenance and complete overhauls on the MH-60 Jayhawk which can also be used on all models of the Black Hawk. S.A.F.E. 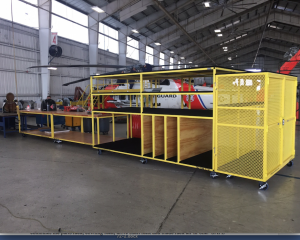 Structure worked alongside the USCG MH-60 maintenance crew to evaluate the high cost, poor quality as well as product inefficiencies of their existing hangar equipment which was delivered by another manufacture, All Metal MS. 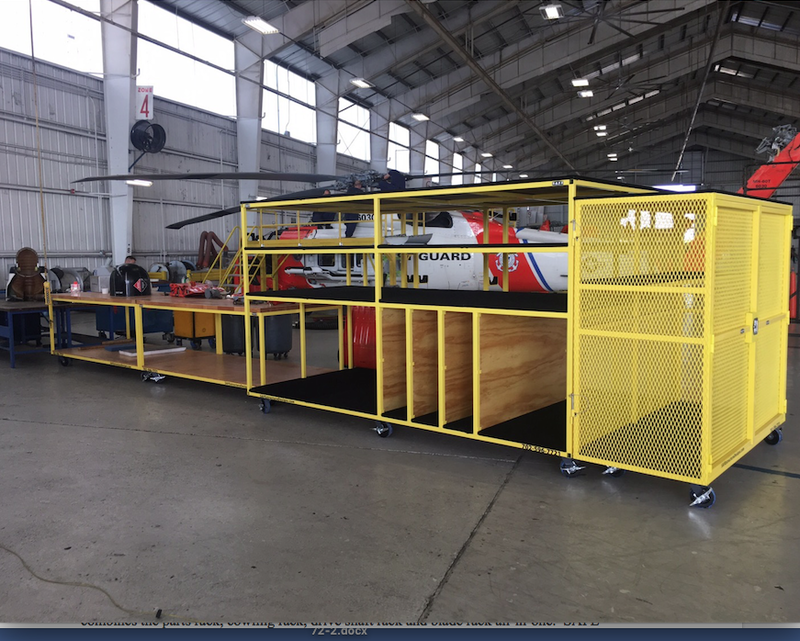 SAFE Structure was able to cut costs for the USCG, as well as increased hangar space by developing a single safety first ergonomic unit that combines the parts rack, cowling rack, drive shaft rack and blade rack all-in-one. SAFE Structure also redesigned the USCG’s basic work tables to have more durability at less of a cost. The USCG clearwater took delivery of the safety first all inclusive ergonomic system last week.